Brewery: Three Floyds Brewing Co. 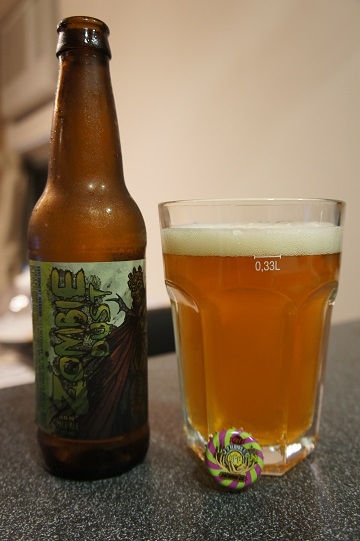 Brewer Description: (from bottle) This intensely hopped and gushing undead pale ale will be ones only respite after the zombie apocalypse. Created with our marvellous friends in the comic industry. Art by Tim Seeley. Intro: A friend brought back a six-pack to Hong Kong for me while this was still super fresh in February. Obviously there are times where I just like to sit back and enjoy a beer instead of always reviewing and as it is, two and a half months on, I’m down to my last bottle and so here’s the review. This 12oz bottle was bottled on 13 February 2015 and poured into a pint glass. Appearance: The beer poured a slightly hazy golden orange colour with a nice one and a half finger white head that dissipated fairly quickly leaving nice stringy lacing. Aroma: Intense aromas of tropical fruits especially pineapple and mango hit first, followed by some citrus grapefruit and a hint of bready malts finally ending with some hoppy pine. Taste: Much like the smell, there was tropical pineapple, citrus grapefruit, some bready buscuity malts and a very nice bitter finish. Mouthfeel: Very crisp, light and with medium carbonation. Overall: I had high expectations before trying it and it lived up to those expectations. It was a very easy APA to drink and this is a must buy if available for me. It was best when it was freshest. 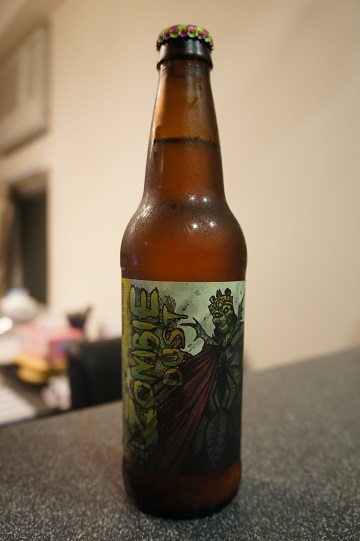 Now lets see about 3 Floyds distribution to Hong Kong… hmm, I guess distribution = friends!